Republican Tom Croci will take office Jan. 7, 2015 following his victory over Democratic challenger, Adrienne Esposito this Tuesday in the race for New York State’s 3rd Senate District. Croci’s victory, as reported by the Associated Press, came in at 58 to 42 percent over Esposito, which translated into 32,405 to 23,123 votes. Croci, the 42-year-old Islip town supervisor and former U.S. Navy reservist, challenged Esposito, 53, the executive director of the Citizens Campaign for the Environment, on the issue of high utility costs and transportation for companies, with Esposito hoping to hold the line on property taxes and reduce wasteful spending to give relief to Long Island families. Both Croci and Esposito appeared to be running on similarly outlined platforms, each promoting efforts to create jobs, improve education, and create sustainable environmental standards. Croci was involved in a toxic dumping scandal while on military leave as Islip town supervisor. Esposito provided heavy attention to the Women’s Equality Act. According to a Newsday/News 12/Siena College of 425 likely voters in the Suffolk County-based district from Oct. 27th, Croci was predicted to defeat Esposito 59 to 34 percent, with 7 percent selecting the “don’t know/no opinion” option. The poll had a 4.7 percent margin of error. Cuomo Defends His Place as Governor. Odd Race, Predictable Ending for District 52. Avella Remains 11th District Senator. Cahill Remains 103rd District Assemblyman. Martins Beats Challenger by Less Than 4 Percent in 7th Senate District. Larkin Gets 13th Term in Senate. Tonko Easily Holds on to NY-20 Congressional District. Maloney Claims Victory in Close 18th Congressional District Race. 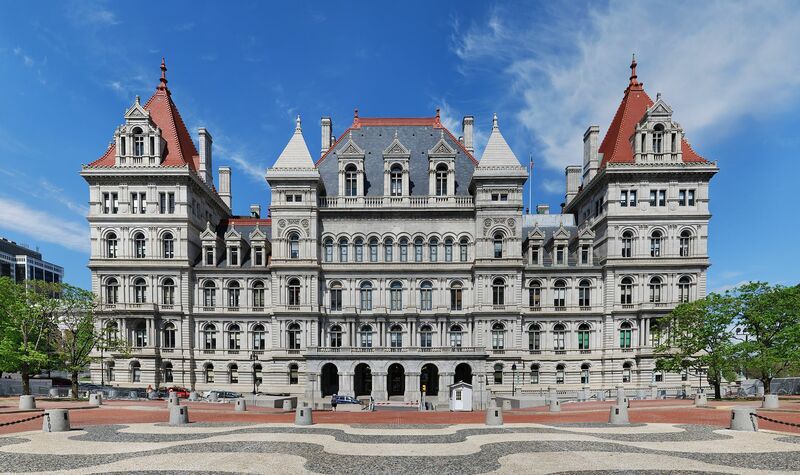 Electronic Legislative Bills Now Distributed in New York. Prop 3 Authorizes $2 Billion for Smart Schools Bond Act. Prop 1 Passes, Allowing Redrawing of Legislative Districts. My name's Andrew Frey and I'm from Bayport, NY. I'm currently studying English and Journalism as a dual major at SUNY New Paltz. I'm a musician and aspiring music critic.